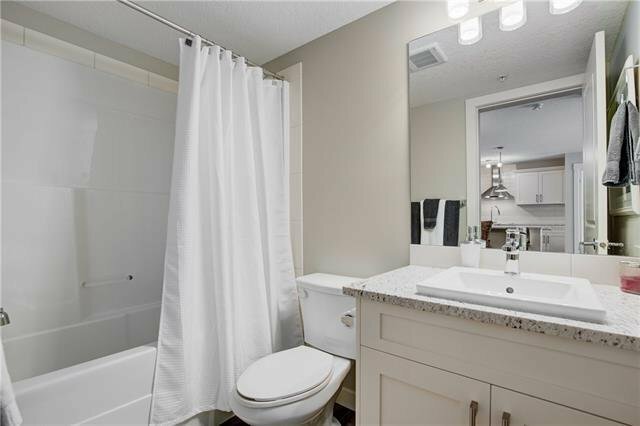 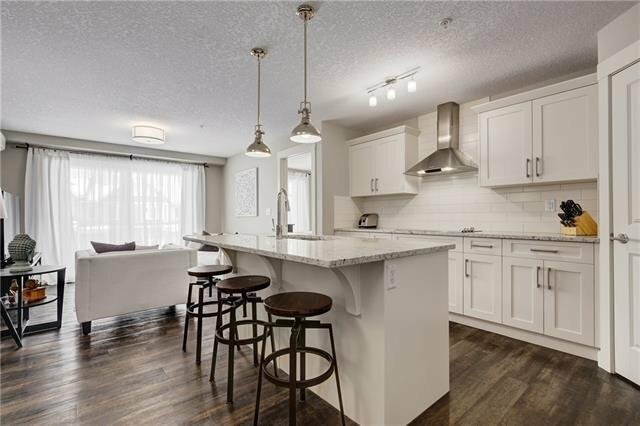 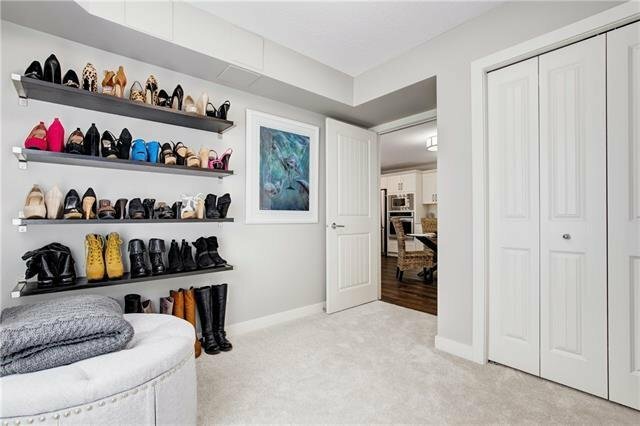 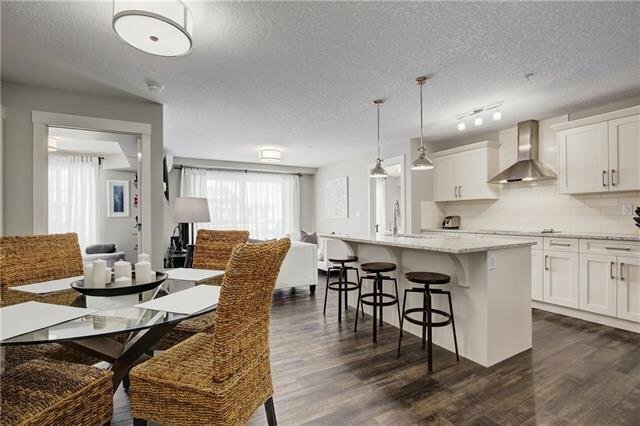 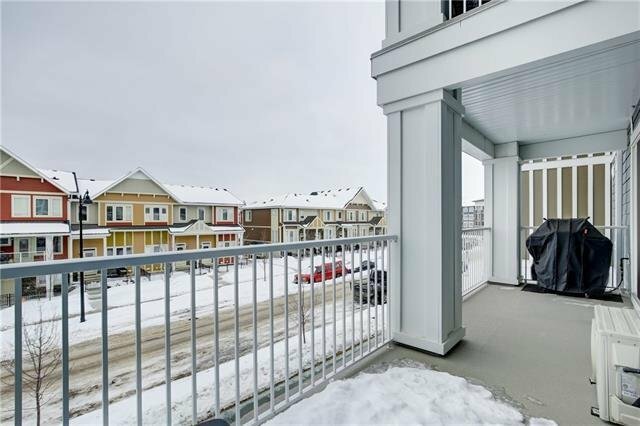 209 - 130 Auburn Meadows View SE, Calgary - 2 beds, 2 baths - For Sale Janet Preston/John (J.R.) Rogers - DISCOVER REAL ESTATE LTD. 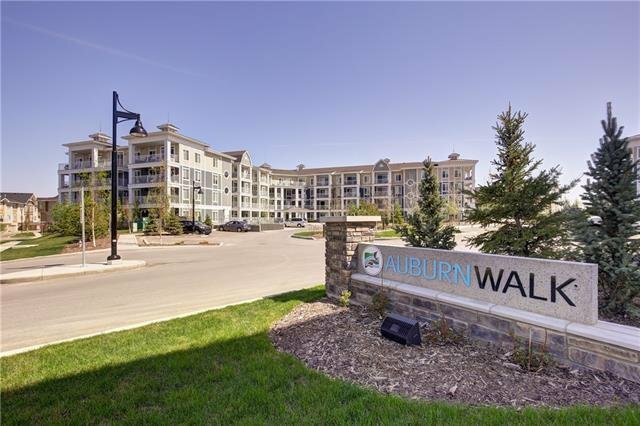 Welcome to Auburn Walk by Cardel Lifestyles! 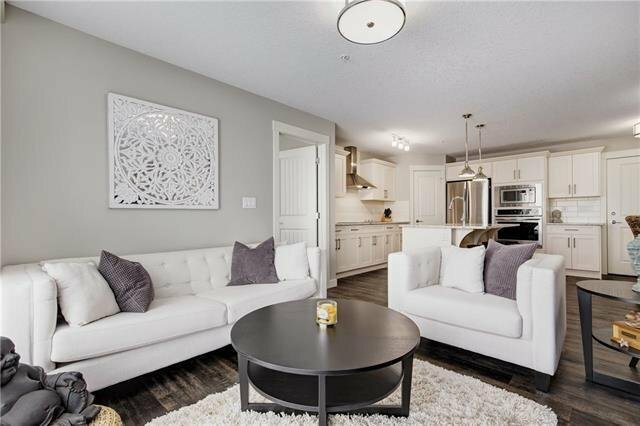 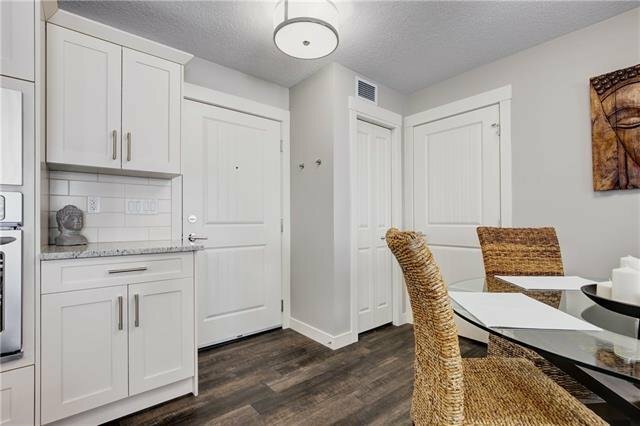 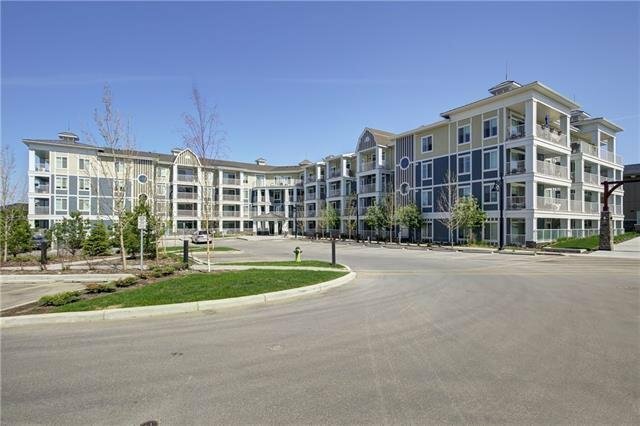 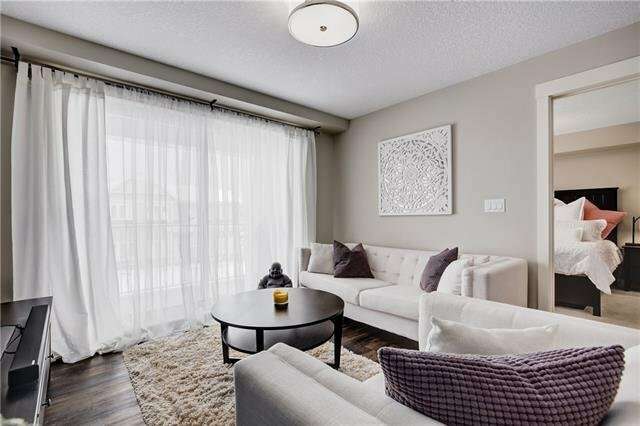 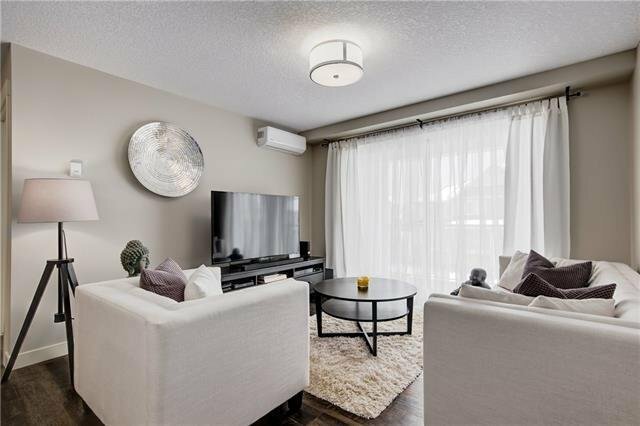 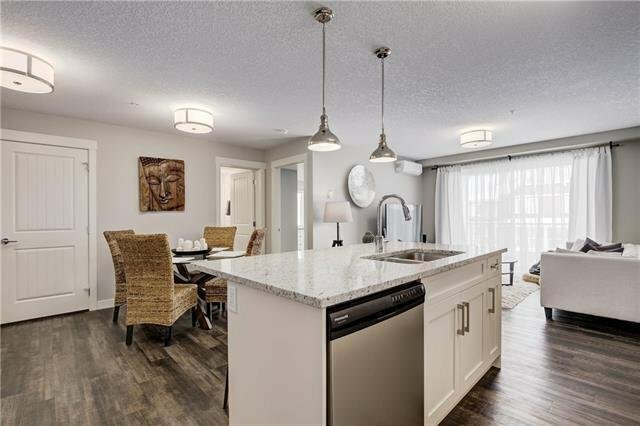 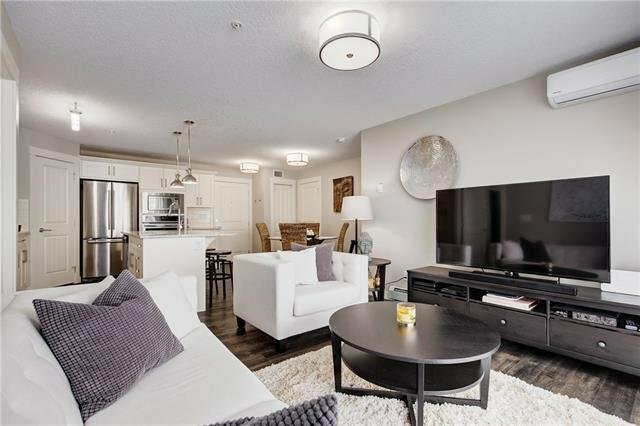 This upgraded 2 bed, 2 bath unit is like new and offers a great layout. 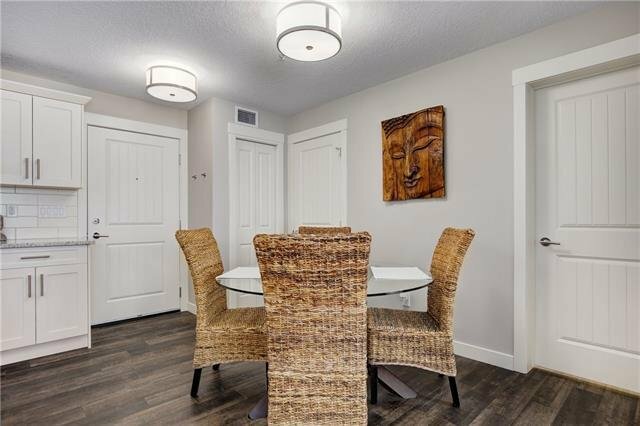 Living/dining room and kitchen are all open concept. 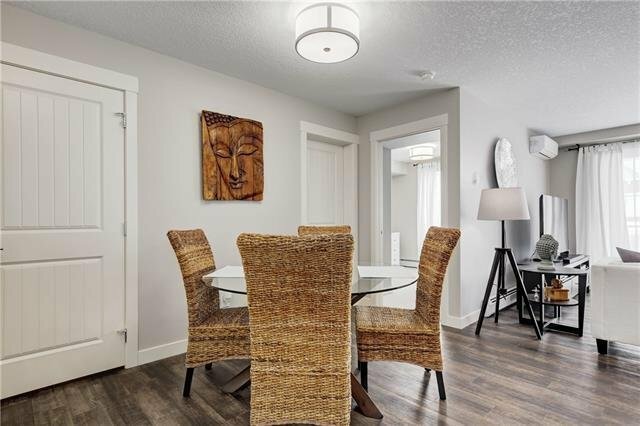 The living room has access to an oversized 116 sq/ft deck with mountain views and gas hookup for you BBQ. 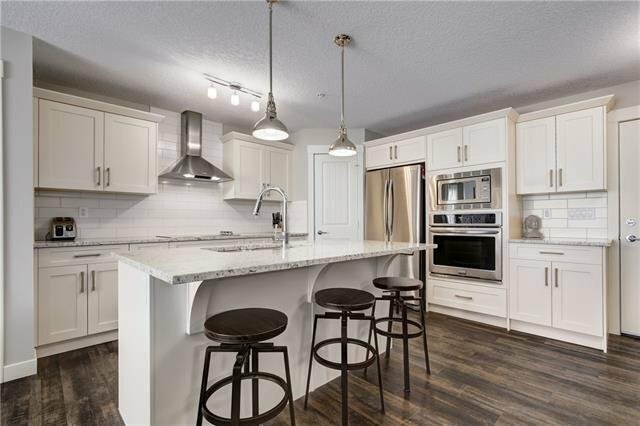 The kitchen is appointed with shaker-style soft close cabinets, granite counter tops, built-in deluxe stainless steel appliances featuring wall oven and microwave, walk in pantry, pendant lighting over the island and 9' ceilings. 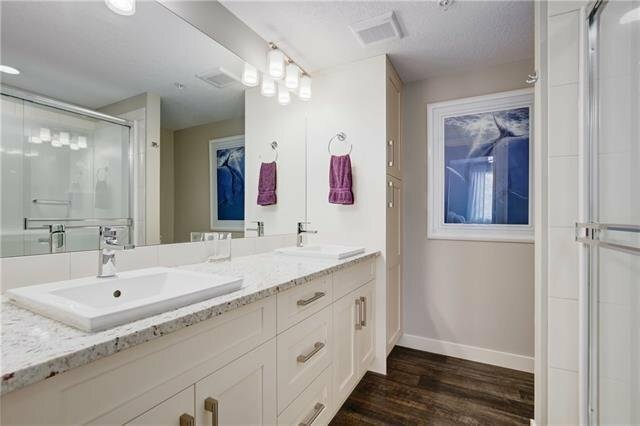 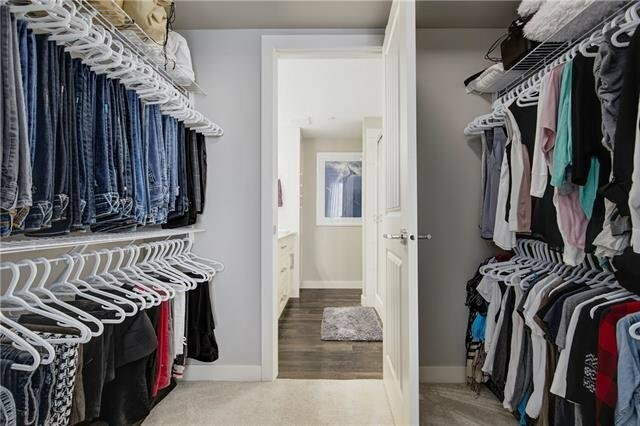 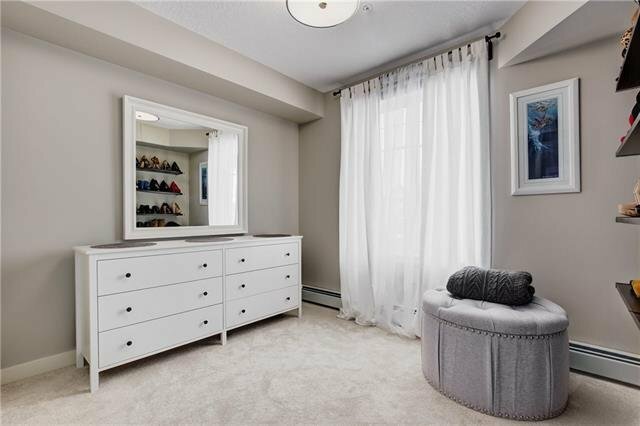 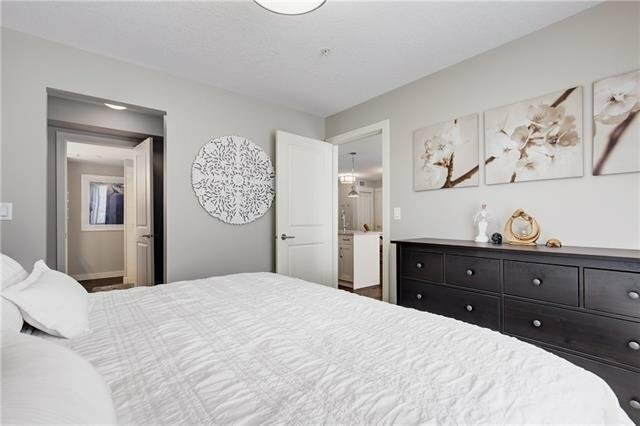 Master bedroom is a great size with a walk through closet to an upgraded 4pc ensuite with dual sinks, shower stall and linen closet. 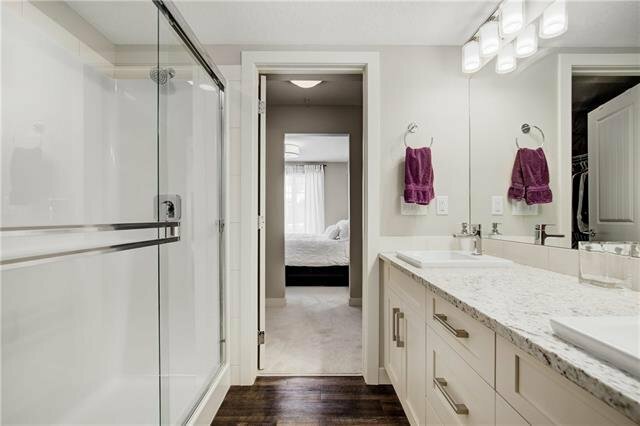 The second bedroom is on the other side of the unit next to the 4pc bath. 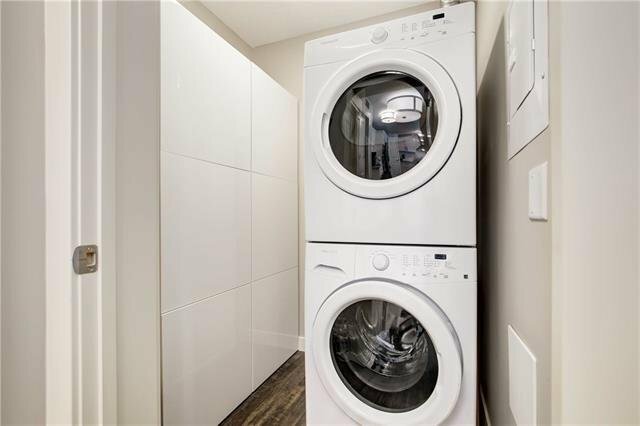 The insuite laundry has full size washer/dryer and extra room for storage. 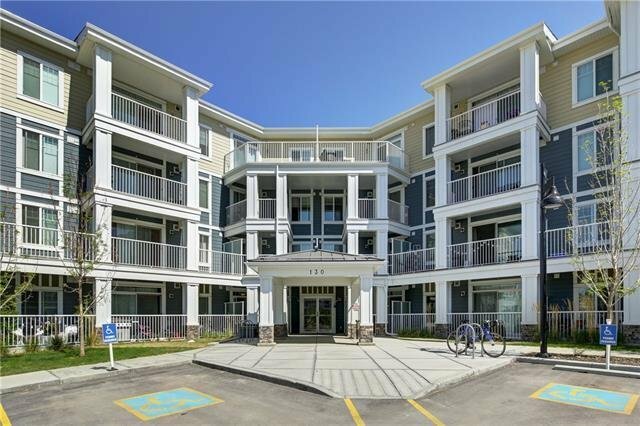 One of the few units with Air Conditioning! 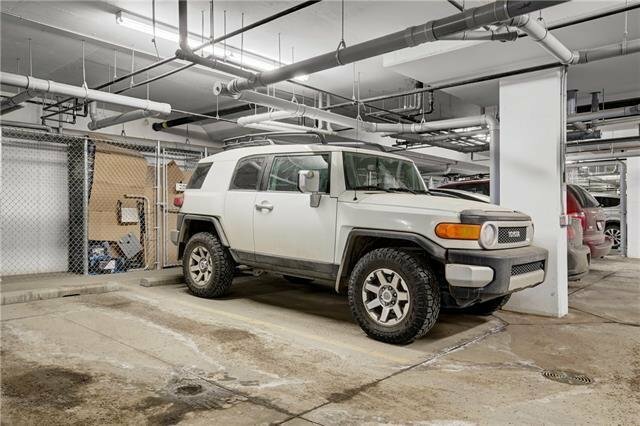 Heated underground parking stall plus storage. 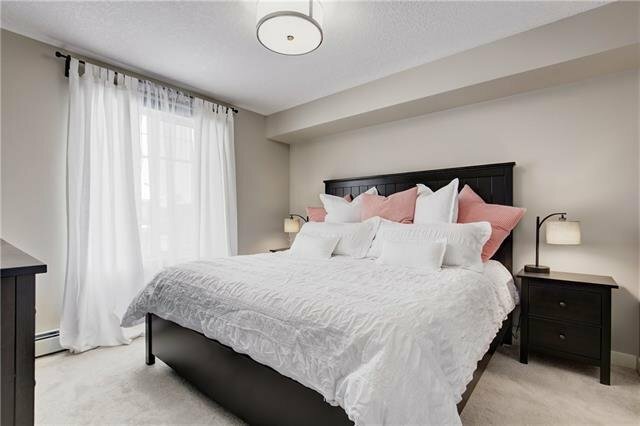 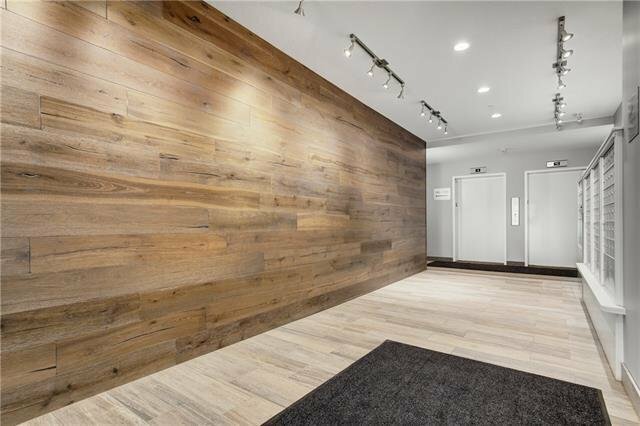 This ideal location is right next door to Auburn Station which has grocery, pharmacy, gas bar, day care, dentist, Tim Hortons, A&W and more!